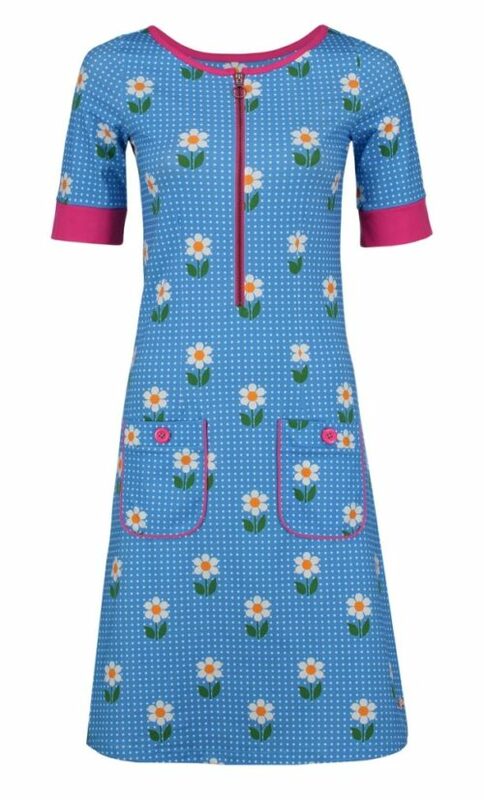 Blutsgeschwister Squeeze Me Tease Me Dress is een lief zomerjurkje gemaakt van een zachte stretch katoen, en heerlijk voor die zomerse stranddagen. 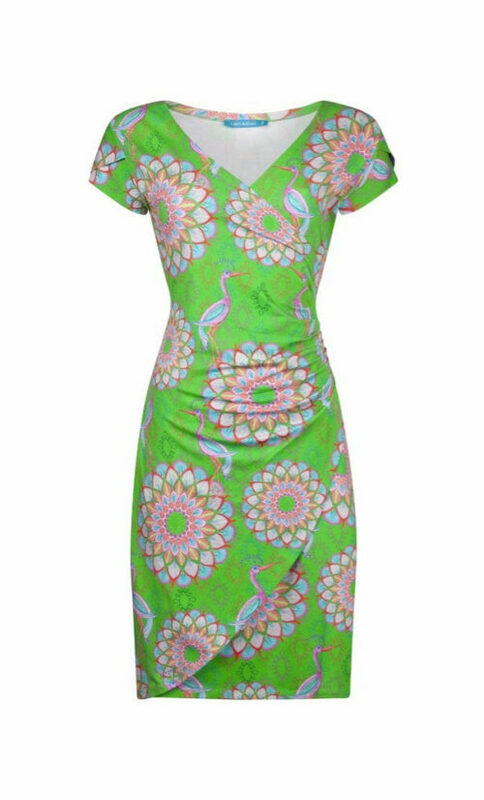 Adorable summer dress made from soft cotton sweat material, with two easy-match printed patterns for looking great on the beach. Simply beautiful and wonderfully cosy – this knee-length sweat dress is a favourite piece for everyday wear with a feel-good guarantee. 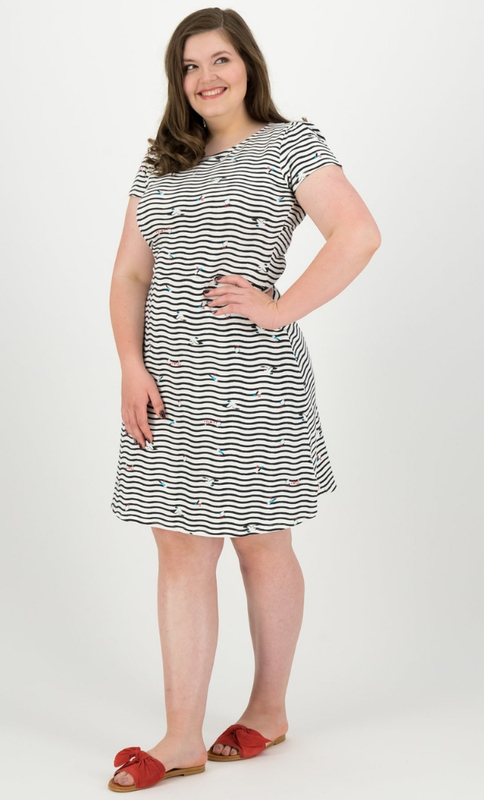 The classic round neck, slightly flared skirt and short sleeves with subtle ruffles make this dress the perfect basic garment with plenty of girly, feminine charm. A filigree pendant made of antique gold-coloured metal adorns the back of the dress and completes it wonderfully, in all its simplicity.